gosh! 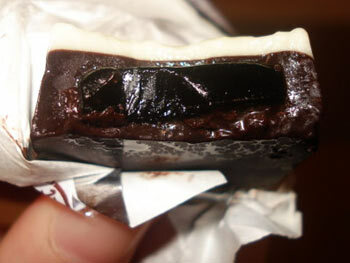 It's been so long since I last blogged about Tirol chocolate! each block had a piece of REAL coffee jelly embedded in a thick layer of coffee chocolate and topped with a thinner layer of white choc. I loved this! 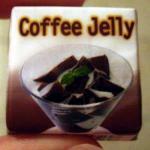 Both the choc and jelly brought out a very strong pleasant and accurate flavor of freshly brewed coffee, the coffee jelly was nicely thick, firm and chewy, and the choc was melting in your mouth. Also, the size of each piece of these Tirol chocs were bigger than the classic Tirol flavors I had tried in the past, adding to my delight. I have not tried an awfully lot of Tirol chocs, but among all those that I have tried so far, this is definitely one of my favorites! 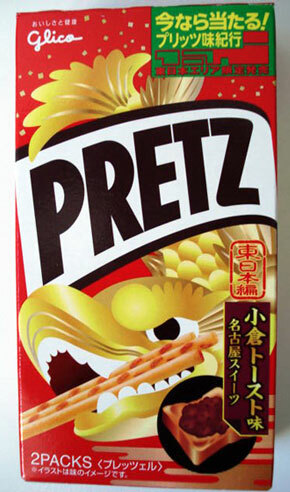 and it should be one of Tirol's most popular flavors. 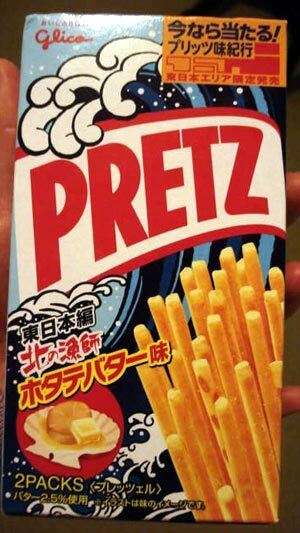 for most special flavors, you can order them in a set of 4 pieces starting from US$2.79 @ NapaJapan, take my word for it, they are so worth the money! initially I wasn't sure what kind of tea the company used to make the drink...until I took my first sip and realized that it was black tea. Despite the addition of sugar to the drink, the tea retained a lot of its rich aroma & taste, the little bit of sugar merely added a bit of sweetness to the drink. The flavor of the corn on the other hand was a bit of a disappointment...it was way too subtle, I could barely taste it, the taste of black tea was so dominating everything else, that the flavor of the corn was virtually non-existent. The drink tasted more like simple sweetened black tea, rather than corn black tea. But all in all, it was still a refreshing drink, and it did quench my thirst, so that definitely accounts to something. these thin wide strips of gum were infused with loads of juicy peach flavor, there's 2 types of peach used; white and yellow peach, hence the flavor is "peach & peach". You can see in the 2nd photo above that each piece of gum has these thin pink lines running vertically down the strips of gum, these are supposedly lines of flavor of the white peach. when I opened up the packet, I noticed at the back of the top flip that those pink lines are labeled as "water lines"...I'm not sure what that meant exactly, or the purpose of those pink lines, but I'm assuming they're trying to emphasize on the brand name. Anyway, I really liked the peach flavor of the gum, so rich & fruity, not to mention they freshen your breath and they were indeed "juicy"...I guess that's how the brand name came about, ne? Although the peach flavor doesn't last very long...which is the only aspect I will fault on. But overall, after trying this flavor, I definitely recommend these Watering Kissmint chewing gums! I think I'll try the grape flavor next time. 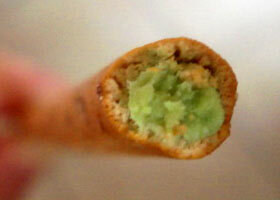 melt-in-your-mouth sweet matcha mousse chocolate filling the COMPLETE length of each biscuit stick, yum! And the biscuit sticks themselves were crunchy & crispy. 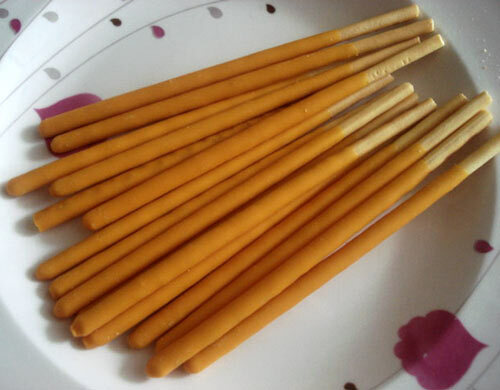 Although Pocky will always remain my #1 snack, These Toppo snacks are really yummy to munch on too, and they're available in some exciting flavors too, so why not pick up or order a pack? 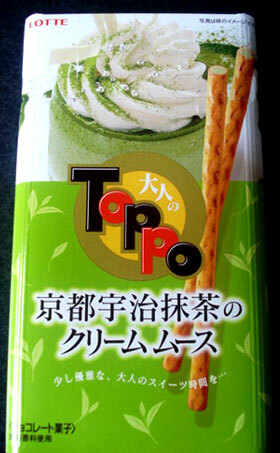 This matcha mousse flavor is so far, one of my fave Toppo flavors. it's been about a week since I last posted a entry...sorry for the slow updates, I've been quite easy this past week or so. it's one of the classic favorites of this famous brand, indeed, after so many years, it still remains as one of my favorites too! Sweet caramel milk flavored light brown chocolate (with extra calcium content!) 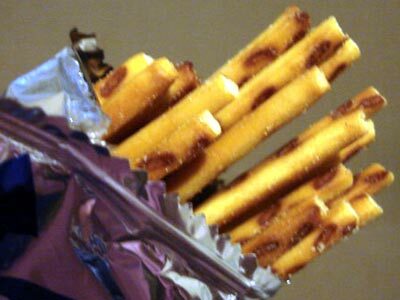 surrounding 80% of the crunchy biscuit sticks, perfect! And I like the cute animal prints on the packet! another classic fave, sweet pumpkin chocolate coating 80% of each crispy biscuit stick, these were 'almost' just as yummy as the caramel milk! 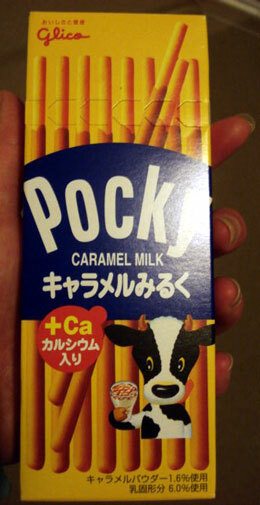 Again, cute packaging, and I really like the pretty bright pastel orange color of the choc. Just a little bit more pumpkin flavor in the choc coating & it would've been all around perfect!